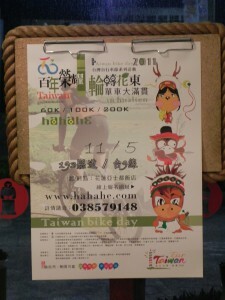 Events began on October 22 with a leisure cycling and higher-level challenge ride and will continue over a number of similar events through to November 20. 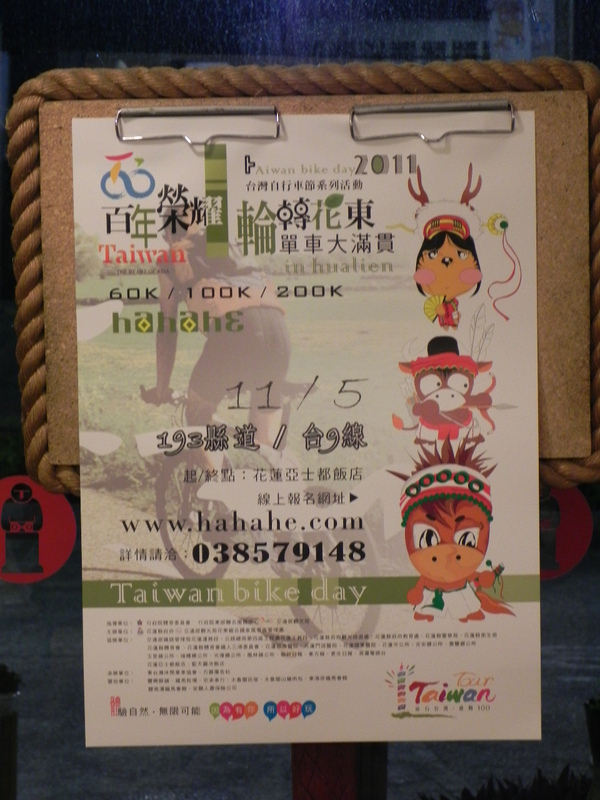 The final event on that day will be a climb through Taroko Gorge towards Wuling. Heading over to Hulien from Taichung across the Central Cross-Island Highway, I stopped a few km below the top at Wuling. It was a great day for taking photos, but I had to be in Hualien by mid-afternoon so there was not too much time to spend on this. 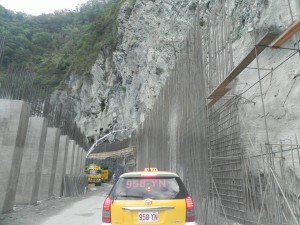 Entering Taroko Gorge near Hualien from the west, road workers are half-way through building a covered way under a huge rock face that recently collapsed. Luckily the typhoon season was pretty quiet this year, otherwise they may not have even got this far with the job. The National Cycling Club have put me up for the weekend at the Astar Hotel. I’ll be helping out with the International racers Saturday and Sunday, making sure any communication problems are sorted out should they arise. 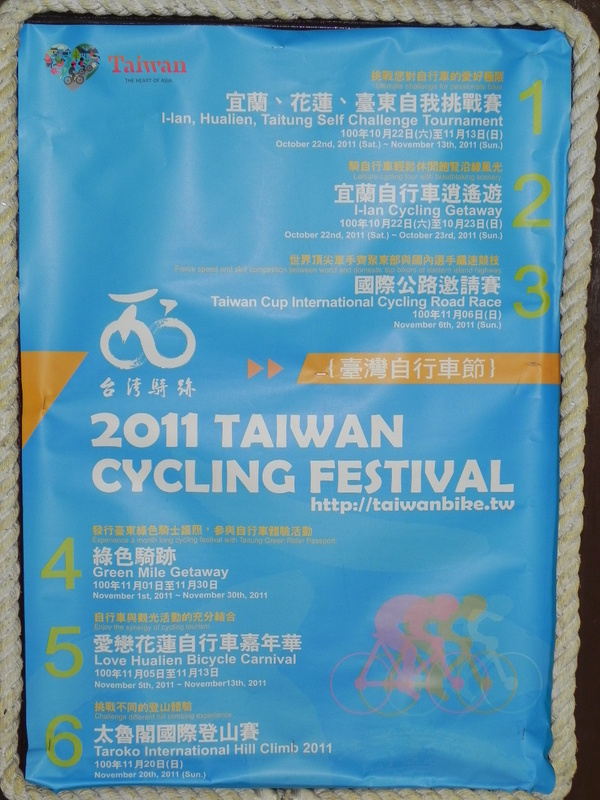 Friday night at the hotel, and there’s a mixed group of cyclists who have checked in. Many are here for tomorrow’s 60k, 100k, or 200k challenge rides.Check-in for the challenge rides is proceeding through the evening. 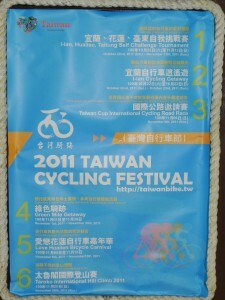 There’s also quite a few elite cyclists milling around as well, both domestic and international. The atmosphere is great. 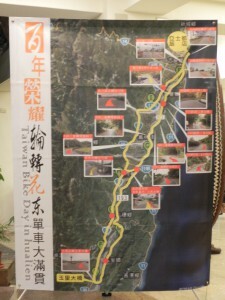 The route is a familiar one heading out of Hualien south along the ocean route 193, then back to Hualien along the inland route 9, leaving from the front of the hotel and finishing there as well (200k event anyway). 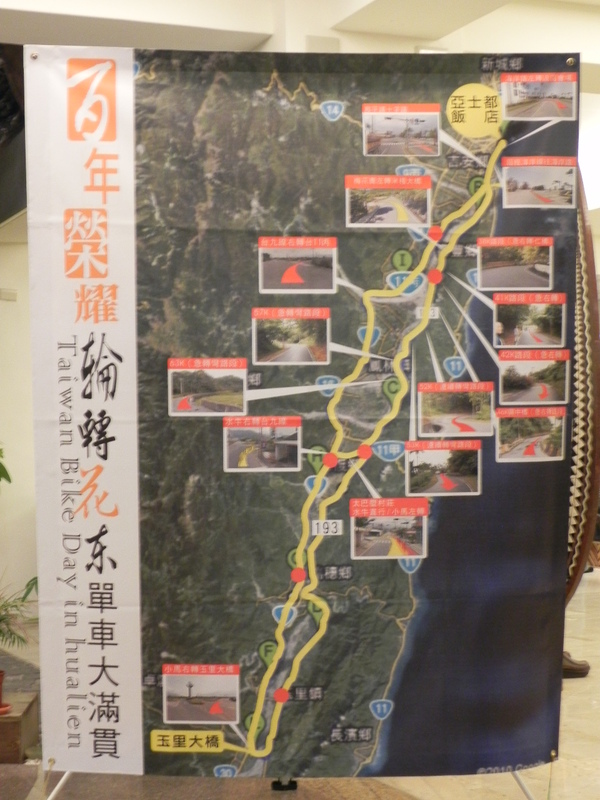 This is basically the route that Sunday’s Taiwan Cup event will take, and the route that the 2011 Tour of East Taiwan traversed (and the next day as well). I’m looking forward to getting into the swing of things tomorrow! 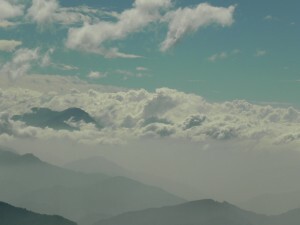 It’s sure nice to be back in Hualien.